Victor Papanek was the head of product and environmental design from 1976 to 1981. Source: Kansas City Art Institute, 1979. 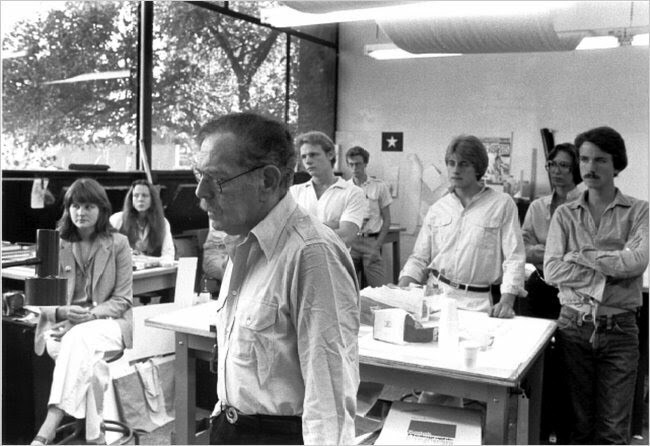 This photo of Victor's 1979 Masterclass appeared in an article published by the New York Times in 2011: An Early Champion of Good Sense.